Albedo One, Ireland’s magazine of speculative fiction, is again running the Aeon Award short fiction contest for 2010 (opening Jan 1st to Nov 30th). The Grand Prize is 1000 euro and publication in Albedo One, and the winner will be chosen by respected genre author Ian Watson. A modest entry fee of 7 euro applies to each entry, and can be paid on the website. The contest opens 1st January 2010, and runs for four rounds throughout the year. The submission deadline for the first round is March 31st, the second round June 30th, the third round September 30th and the final round November 30th. The final round is of two months duration, the rest of three months. Previous winners have been announced at the World Science Fiction Convention and European Science Fiction Convention, and the contest aims to promote new writers and writing at shorter lengths in the speculative fiction genres (e.g. SF, fantasy, horror). Full details and entry guidelines are available here. 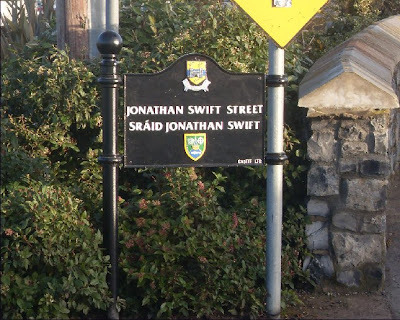 Jonathan Swift now has a street named after him in Trim. I hadn't heard of any official opening yet but the street sign has been erected. It's an unusual street, no houses, it leads to the new Office of Public Works headquarters which with three older buildings now dominates the skyline of the town. Jonathan Swift street is parallel to the River Boyne, and passes by a children's playground, the old disused swimming pool, a car park, the pitch and putt club. Swift's connection with Trim are well known and have been brought to the fore recently by the success of the Trim Swift Festival. We did have a Wellington Street in Trim once in honour of the soldier/politician Duke of Wellington, who may have been born near Trim. This was renamed Emmet Street early in the last century. The duke still stand on his column in Trim though. Charles Stewart Parnell had some connections with the town having been an MP for Meath at one stage. We don't have a Parnell Street though a housing estate built around 1970 is called Avondale after Parnell's home in Wicklow. The Costa Book Prize Winner was revealed earlier this week and the winner was not the favourite Colm Tobin with his novel Brooklyn but poet Christopher Reid (above) for his collection A Scattering published by small press Areté Books. This is the fourth time a poet has won the prize and Christopher Reid follows in the footsteps of Douglas Dunn, Ted Hughes and Seamus Heaney. Guardian report. Since the introduction of the Book of the Year award in 1985, it has been won nine times by a novel, four times by a first novel, five times by a biography, five times by a collection of poetry and once by a children's book. Reid, aged 60, lost his wife Lucinda Gane to cancer in 2005. A Scattering consists of four poetic sequences, the first written when his wife is alive and they are on holiday in Crete and the other three - 'Sparse breaths, then none - /and it was done' - after her death. He picks up, in total, a £30,000 prize and an great increase in readership for a book which has sold fewer than 1,000 copies up to now. Guardian review of A Scattering here. I haven't read the collection so that's another on the must read list. I did read Tobin's Brooklyn and was not impressed by it. I think this list of 75 Books Every Writer Should Read is more likely to put you into bad humour (humor even - it is an American list) thinking of all the books you could be reading than make you shout for joy. Still interesting though. I've read only four or five from the list mostly the classics. Book on the list I am most likely NEVER to read? How To Think Like Leonardo Da Vinci: Seven Steps to Genius Every Day by Michael Gelb. Book on the list I am most likely to read? Aristotle's Poetics. This is the 13th year of the Molly Keane Memorial Creative Writing Award. The Arts Office of Waterford Co. Council is pleased to announce that it is currently accepting short stories for this competition. The late writer lived, until her death in 1996, in Ardmore, Co. Waterford. Her first ten novels and four plays were published under the pseudonym M.J. Farrell. 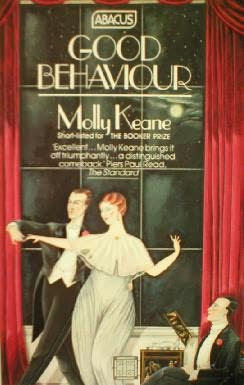 In 1981 ‘Good Behaviour’ became a publishing sensation for which she was short listed for the prestigious Booker Prize. To celebrate this rich literary life, the County Waterford Arts Office, by kind permission of the Keane family, is inviting entries for a previously unpublished short story to a maximum of 2000 words. There is no entry fee, no age limit and no restriction on the subject matter. A prize of €650 will be awarded to the winner at a special ceremony during the IMMRAMA Literary Festival in Lismore, Co. Waterford (June 10th – 13th 2010). The closing date for receipt of entries is 5pm on Thursday 25th March 2010. Full details and an entry form can be downloaded from the Waterford County Council site or by contacting the Arts Office on 058-41416. I got this email recently from TAF Publishing and sent them details of our writing group and magazine. I have the UK published Poetry Writers Handbook 2008 - I don't think another was published since. I also have the UK Writers and Artists Yearbook 2004 by the same publisher. These have some use but with so much available on the web their use is limited. It would be nice however to have an Irish version in book form. 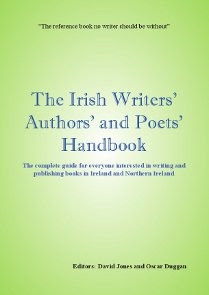 We are currently compiling directory listings for the forthcoming edition of The Irish Writers', Authors' and Poets' Handbook. The publication date is February 2010. We would like to include your organisation in our directory of publishers, literary agents, bookshops, book distributors, writer's groups, literary organisations, festivals and events, libraries, book clubs, creative writing courses, newspapers, magazines, journals, literary blogs etc. Please help us to ensure that the information we provide is accurate and up to date by completing the short questionnaire below. It will only take five minutes. As the publication date is fast approaching we need your submissions by 31st January, to ensure that your details are included. There is no charge for inclusion. The handbook will be promoted to libraries, writer's groups, individual authors etc throughout Ireland and Northern Ireland. For more information please visit our website. You can contact us by e-mail us - info@tafpublishing.com. The Guardian today included the first in a series of booklets of Romantic poetry. This continues tomorrow in the Observer and next week in the Guardian. Today it's Keats then Byron, Burns, Blake, Coleridge, Shelley and Wordsworth. Each booklet has an introduction by a series of "esteemed guest editors" including Andrew Motion, Germaine Greer, Margaret Drabble and Philip Pullman. Scottish poet Don Paterson will introduce the Burns booklet out on Burns' birthday, January 25th. 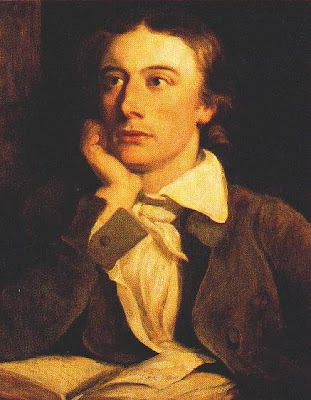 Today's Keats booklet is 26 pages, has a two and a half page introduction by Motion, a selection of poetry including the usual suspects, a letter of Keats to Fanny Brawne and a picture of a Keats manuscript. The Guardian podcast has the former poet laureate and Keats biographer Andrew Motion talking about the Romantics, their importance. It also has a recording of actor Michael Sheen reading Keats' Ode on a Grecian Urn. The podcast also has an interview with the winner of this year's TS Eliot prize, Phillip Gross, about the appeal of water to the poetic imagination, and the influences that shaped his collection The Water Table. The main newspaper has a review of the collection. 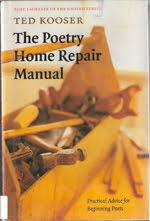 Just finished reading The Poetry Home Repair Manual by American poet Ted Kooser who was US poet laureate 2004-2006. Pretty standard advice with most of the examples of poetry taken from his own work or current American poets many of whom are unknown to me. A pleasant read none the less with some challenging insights. Take any dozen current literary journals or new collections of verse, and you'll quickly observe how many poems are merely plain spoken anecdotes tricked out in lines of verse . . . This popular means of writing lends much contemporary poetry a folksy, cracker-barrel tone, which fits nicely with the character of today's public poetry readings, which are not far removed from stand-up comedy routines . . . Something seems to be missing . . . If you choose to write poems like this, don't rely on just the details of a good story to lift it into poetry. You need to do more than that. Think about the speaker's characteristic voice, the syntax, the rhythm, the form, the selection of details. The story itself is merely the material. You have to do something special with that material if you want it to be a poem. You can hear Ted Kooser read some of his own poems here as part of the Essential American Poets series of podcasts. Book review here. The shortlist of eleven for the 2009 Gregory O'Donoghue International Poetry Competition has just been announced on the website. My name is not on it. I'm not surprised when I see some of the names of published and well known Irish poets on it including John F Deane, Siobhan Campbell, Maureen Gallagher, Pete Mullineaux and Patrick Deeley. 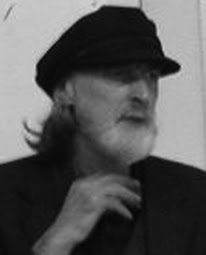 I heard John F Deane read at the Patrick Kavanagh weekend last year and Pete Mullineaux was the judge at the 2009 Boyle Poetry Competition who commended my poem and read at the festival. The prizewinners have been informed and will be announced at the Spring Literary Festival in Cork. Now to pick some poems to enter the Strokestown Poetry Competitions. Philip Gross was named winner of the 2009 TS Eliot prize at a ceremony in London last evening, beating competition from his better-known peers such as Alice Oswald, Sharon Olds and Christopher Reid. Guardian report here. Gross, professor of creative writing at the University of Glamorgan, won the prize for The Water Table described as detailed and lyrical meditations on the ever-changing waters of the Severn estuary. You can hear him read some of his poems on this BBC page including his Fantasia on a Theme from IKEA. Simon Armitage, who chaired the panel of three poets said The Water Table stood out because it was not merely a collection of poems but also "so obviously a book". The biggest surprise of the shortlist was the absence of Don Paterson's collection Rain which took the 2009 Forward prize for best collection, a work which the judges said showed the Scottish poet's "total mastery of his art". Paterson, 45, beat a line-up of acclaimed poets, including Sharon Olds who was also on the T S Eliot shortlist, to win the £10,000 award. It just goes to show people's taste and judgement differ. Completely different set of judges of course. For the Forward Prize Josephine Hart, writer and producer, chaired the panel consisting of poet and librettist David Harsent, poets Jean Sprackland and Tishani Doshi, and Guardian journalist Nicholas Wroe. 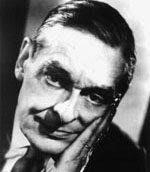 The T S Eliot judges were all poets, Simon Armitage, Colette Bryce and Penelope Shuttle. Last year's 12th annual Manchester Cathedral Interfaith Religious Poetry Competition was a great success with over 370 people sending in over 900 poems, many of which were from abroad, confirming the competition's Interfaith status. I entered a couple of poems last year but was not among the winners. There is a different judge each year. In 2010 the judge is Irish poet, Vona Groarke, a graduate of Trinity College Dublin and a lecturer at the University of Manchester Centre. 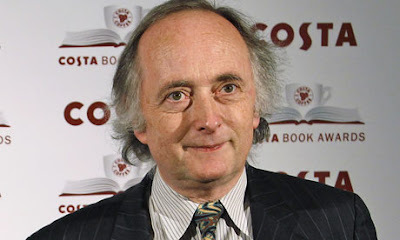 The Judge in 2009 was another Irish poet John McAuliffe. What exactly is a "religious" poem is open to interpretation of course and the following are the guidelines from a previous year: The poems submitted should be ‘broadly religious,’ that is, ‘spiritual’ in nature and, like all good religious poetry, should appeal to those who would not necessarily describe themselves as such. ‘Religious’ thus includes poems that are Christian, as well as those from within other faith traditions. Those struggling to discover their own sense of the sacred are also invited to submit entries. Poems are welcome in any style or form and will be judged solely on their merits as poetry. There are no details yet on the cathedral website but you can get further enquiries or an entry form by contacting the Cathedral office [0161 833 2220] or emailing the organiser, Canon A. E. Radcliffe – albert.radcliffe@dsl.pipex.com. The Competition is open to everyone. Poems should have no more than 40 lines each, not including the title. Competitors may enter as many poems as they wish. Manuscripts cannot be returned. Poems will be judged anonymously and must be accompanied by an Entry Form and an Entry Fee of £4 for the first poem and £2.50 for each additional poem. Only Sterling cheques, postal and money orders will be accepted. Cheques must be drawn from UK Banks. Entries must be received by Wednesday 30th June 2010. The Judge’s decision is final. The results of the competition will be announced on National Poetry Day 2010. The prize winning poem will be printed in the Cathedral Newsletter for November 2010, and all three poems, with the Runners Up, in a Competition booklet. The prize winning poems will be read and the prizes presented at a special event at the Cathedral, part of the Manchester Literature Festival, on Thursday 21st October 2010. It's a pity that there is no facility for online entry or payment. Last year I emailed asking if they would accept sterling notes and they said no so I had to get a sterling draft. The winner of the T S Eliot Prize 2009 will be announced tomorrow Monday evening in London. This prize is awarded to the author of the best new collection of poetry published in the UK and Ireland each year. It is judged by a panel of established poets, this year by Simon Armitage (Chair), Colette Bryce and Penelope Shuttle. The shortlist of ten collections from the 98 new books published in 2009 which were submitted by publishers is available here. On the list is one Irish published book, The Sun Fish by Eiléan Ní Chuilleanáin published by Gallery Press, review here. Another Irish poet Sinéad Morrissey is on the list with her Through the Square Window published by Carcanet. I've no idea who will win and the only one I've read is Hugo Williams' West End Final. I also heard him read from the book in Cavan late last year. The BBC has readings by the poets from their shortlisted books here. Mrs Valerie Eliot, the poet's widow, will present the prizes to the winner and the shortlisted poets. The prize is the largest cash award in British poetry. The winner will receive £15,000 and each of the shortlisted poets will receive a cheque for £1,000 in recognition of their achievement. Entries for the National Poetry Competition (UK), Britain's top single poem competition, are at their highest on record for the 2009 competition with 4,200 poets entering 10,500 poems. The judges are Ruth Padel, Daljit Nagra and Neil Rollinson. The judges read all the entries as there is no preliminary judging stage in this competition. There is in many other competitions. All winners and commendations will be notified shortly after 29 January 2010 and the winners will be officially announced on 30 March 2010 at a prize giving event at the Savile Club in London's Mayfair, on the Poetry Society website on the 31 March and in the Spring issue of Poetry Review. I entered three poems in the competition. I wonder what the quality of the other 10,497 poems was like. The artwork above by artist Tori Flower was commissioned for the National Poetry Competition 2009. 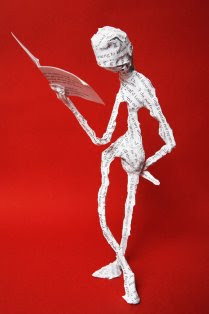 It's called The Reading Man and is made out of the winning poems of 2008.
Who Had The Best Poets In The Twentieth Century? 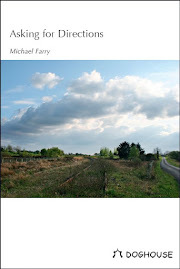 I recently read (raced through more like) The Faber Book of 20th-Century German Poems edited by poet Michael Hofmann. He starts his Introduction with this amazing statement: Who had the best poets in the twentieth century? For their size of population, the Irish and the Poles, absolutely, without hesitation. After that opening I felt that out of loyalty to his praise of the Irish I had to stick with the collection and read to the end. Much of interest in it of course Rilke, Gottfried Benn, Celan and Enzensberger translated by a variety of translators. I always wonder about translations, how close they are to the original, in form, in style, in ideas. Coincidentally this month's issue of the American magazine Poetry has a letter to the editor critiicising some aspects of translations by the same Michael Hofmann of poems by Gottfried Benn in the November issue. The letter seems pretty reasonable and well argued to me. Poetry has the practice of allowing the criticised author to respond to critical letters straight away. This has the effect of the original author having the last word and hardly seems fair to me. Michael Hofmann has been allowed a long reply, much longer than the letter. This reply has a note of irritability which is delightful as Hofmann defends his translations in some details. 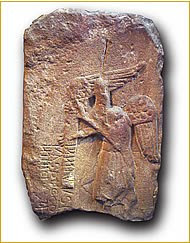 He says: There is no more dismal—or, frankly, stupid—way of reading a translation than to pick on single words (as though the first duty of a translation were that it should be reversible—it’s not—and as though words were tokens of unchanging value, the way money used to be, in its dreams—they’re not either). Great punctuation there. The letter is here, response here. Hofmann's original translations of Benn's poems are here. To impress a judge or editor, make sure that your poems are perfectly presented. Read any entry or submission guidelines carefully and follow them to the letter. A good title will grab attention at the outset. Remember that the judge or editor will probably be faced with many poems entitled ‘Spring’ or ‘Memories’, and try to think of a less overworked title that gives the reader a sense of the emotion, excitement or discovery of your poem. It’s a rule of thumb in poetry that the specific is more engaging and interesting than the abstract, so use your title to evoke a clear image in the mind of the reader: if your poem is about the garden in spring, for instance, ‘Turning the Compost’ would make a better title than ‘Springtime’. Try not to use the first line of your poem as its title – this tends to suggest a lack of imagination, or even laziness. In fact, it’s usually better to avoid using as the title any phrase that appears in the poem ‘as is’. The title is very much a part of the poem, and with a bit of thought and imagination it can be used to add a whole new idea or dimension to the mix. Some subjects crop up again and again in poetry, making it hard to find anything new to say about them. That’s not to say that you shouldn’t write about them yourself, but competition judges and editors are unlikely to be inspired by such poems unless you can find a fresh focus on the subject. Some poets delight in wilful obscurity, feeling that if they can thoroughly confuse their reader they have somehow scored points over them in the cleverness stakes. Actually the reader is more likely to be annoyed and frustrated than impressed. Try not to pack too many ideas into a single poem, but instead aim for a piercingly clear focus on a single idea or image, and be specific: if you’re writing about an earthquake, for instance, show your reader the rag doll in the rubble rather than a ‘long shot’ of the faceless dispossessed masses. If you write about an intensely personal experience, try doing so from the point of an observer rather than as the main character in the poem. Readers can experience such poems as rants or whines if they are written in the first person. When writing formal poetry (that is, poems with regular meter and rhyme scheme like sonnets, or a syllable-counted form like haiku) ask yourself whether the form you’ve chosen enhances your subject matter. For instance, sestinas tend to have a haunting quality, while ballads are great for telling a story. Once you’ve chosen your form, try to stick to it – wonky meter and rhyme schemes that run out half way through a stanza can frustrate and disappoint the reader. If you choose free verse, remember that it isn’t simply prose with line breaks. Line lengths may vary and you won’t be using a regular rhyme scheme, but you can still use many of the devices of poetry - rhythm, patterns of sound and repetition and carefully placed line and stanza breaks - to give your poem shape and cohesion. Don’t forget that the reader will find a long, unbroken block of text forbidding and difficult to read. Good poetry tells neither too much nor too little, giving the reader enough information to find a way into the poem while still allowing room for his or her own imagination and interpretation. Archaic language like ‘thine’ and ‘t’was’ and poeticisms like ‘O!’ distance the poem from the reader’s life and experiences and prevent engagement, and inverting word order to meet the demands of rhyme and meter jars with the reader, drawing attention to the ‘workings’ of the poem. Adjectives should be used sparingly in poetry – the more you use, the less impact they have. Try using imagery instead, but avoid tired, overworked metaphors and similes: life as a vale of tears, dewdrops sparkling like diamonds. Above all, read as much good poetry as you can get your hands on, and you’ll soon find your own poetic ‘voice’. The Plough Prize is one of the competitions I have entered regularly over the last few years. Thrilled to get two poems shortlisted in 2007. It is a well-run competition with online entry facilities. This year all entrants were offered a free check box critique. I sent off four poems and got the critiques back today. These are not done by the judge and therefore don't necessarily reflect possible results but judging by them two of my poems possibly stand an outside chance of being listed, two certainly not. Results and long and short lists will be available by 1st February. The check box critiques are in four categories: Presentation; Title; Subject/Idea; Form/Structure; Style. This is followed by a short summary judgement. Also included are general tips about entering poetry competitions. Poem looks forbiddingly dense, needs stanza breaks. I like this very much. I’d suggest cutting stanzas 2 and 3, which don’t (I feel) add anything to the piece and slow its pace, which is otherwise well controlled. The ending works particularly well. This poem appears to be saying something quite simple in a very complicated and wordy way, and as it progresses it moves further and further away from clear visual imagery and into the realm of the abstract. In the end, I just couldn’t get a grip on where it was going. It's great to get feedback on entries. 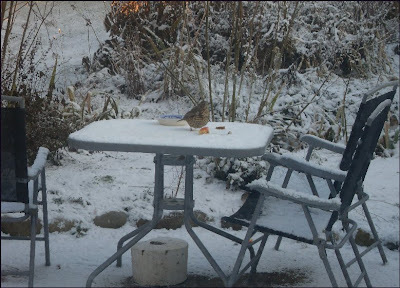 First use of our patio set in 2010, by a thrush. The set saw very little use in 2009. Some advice on looking after birds in the cold spell from this website. With Ireland in the grip of a severe and prolonged cold spell which is seeing considerable amounts of snow on the ground and temperatures barely rising above freezing, it will be almost impossible for the birds to reach any natural food so expect an increase in activity at your feeders until temperatures start to rise. Fat: Provide additional survival rations in the form of fat products for raw energy to survive the long, cold nights. Simply hang the products up, place them whole or chopped on the ground, or rub them into bark for more retiring species. Splash: Make sure that there's always clean, fresh water available for drinking and bathing and ensure bird baths are kept clear of ice. Shelter: Avoid disturbing birds when they are sheltering from the elements. At night time roosts and in 'loafing areas' during the day, the birds are trying to conserve vital energy and avoidable disturbance is a bit like reducing the amount of food available. Nest boxes will often be used as vital, windproof roost sites. The first and last hour of daylight are particularly important feeding times when it's very cold so the birds should be left to feed up in peace if possible. And then I visited a few London bookshops. Charing Cross Road is not what it once was as regards second-hand bookshops, there seems to be fewer and fewer each visit. As well as that it was sad to see Borders lying empty. Foyles is still there of course, welcoming, very well signed, clear notices as to where each section is and a great stock. Bought nothing there though. found one I was interested in on film director Fred Zinnemann but it was a bit expensive so I thought I'll get it secondhand on the internet. In one of the secondhand shops on the street I did find a copy of a book I mentioned here a while ago, Jackie Kay's The Lamplighter which deals with slavery. It is described as both an acclaimed radio and stage play and a multi-layered poem. The book comes with a CD of the BBC radio broadcast in 2007. Looking forward to listening and reading it. I also had a look in the Oxfam book shop near the British Museum, some interesting stuff there but I resisted a purchase. I have too many unread books from 2009 to buy anything unless I really want it. It's our own fault that book shops are closing I suppose. It is so easy to source books, new or secondhand, on the internet. 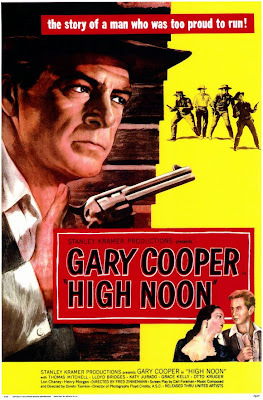 I found and ordered a secondhand copy of the screenplay for the film High Noon last week from somewhere in the US, not Hadleyville, and it's on its way at the moment. The postage was more than the book cost but it was still very reasonable. Why High Noon? Why not? A man's gotta do . . .
Stop 2 in the whirlwind tour of London two days ago was a visit to the newly opened Medieval & Renaissance Galleries in the Victoria and Albert Museum. I only discovered this museum last year, well aware of it before I was put off I think by the Victorian connotations of its name and by its location a little away from the centre. I was very impressed last year on my first visit. That great central aisle with what appears to be a packed-in jumble of sculpture is very striking. People are sketching works by Rodin, others taking photographs and the atmosphere is much more visitor friendly than in some other galleries and museums. The new Medieval & Renaissance Galleries are breathtaking and need at the very least a full day for a proper appreciation. But it is a permanent collection so I took a quick tour around to get the flavour. One sad item was a carving from an English monastery or church. It had been badly defaced and reminded one how much art was lost at the time of the Reformation. Then a visit to the Royal Academy for the Wild Thing: Epstein, Gaudier -Brzeska, Gill sculpture exhibition. 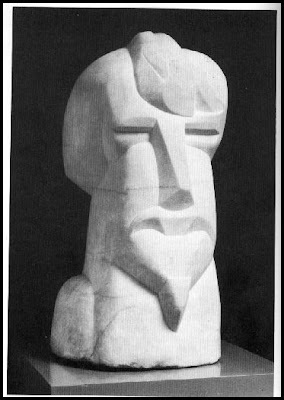 Over a period of 10 years from 1905 to 1915, three outstanding young sculptors emerged in Britain; Jacob Epstein, Henri Gaudier-Brzeska and Eric Gill. The radical impact of their work was to transform British sculpture. The most impressive sculpture here was Epstein's Rock Drill. This is as far as I can see a reconstruction since the sculptor destroyed the original. It, with its shades of Duchamp's found objects, sits strangely with much of the rest of the exhibition with its emphasis on direct carving. The title of this exhibition is taken from poet Ezra Pound, who remembered meeting Henri Gaudier-Brzeska for the first time in 1913. Pound was impressed by the young Frenchman, and likened him to “a well-made young wolf or some soft-moving, bright-eyed wild thing.” The poet commissioned a bust from the sculptor and the piece is included in the exhibition along with two preliminary drawings. The picture of the bust of Pound (above) is from this webpage. I spent yesterday in London, a flying visit in both senses of the phrase, arrived at 8am, flew back at 8pm. For the past ten years I attended a trade fair in the city every January as part of my work so I decided to continue the tradition of a London January visit this year. I had a list of exhibitions I wanted to see and shops I wanted to visit and managed to fit most in. My main aim was to visit The Sacred Made Real, Spanish Painting and Sculpture 1600-1700 exhibition at the National Gallery which closes later this month and which has received much favourable coverage. Reviews: Telegraph; The Independent; Guardian. Paintings, including masterpieces by Diego Velázquez and Francisco de Zurbarán, are displayed for the very first time alongside Spain’s remarkable polychrome wooden sculptures. The religious artists of 17th-century Spain pursued a quest for realism with uncompromising zeal and genius, creating works to inspire devotion among believers. By displaying works side by side, this exhibition explores the intense dialogue between the arts of sculpture and painting, revealing that they were intricately linked and interdependent. This is a wonderful exhibition. The quality of the sculpture, both the carving of the wood and its painting, is impressive. The images are for the most part extremely realistic with a lot of blood and suffering on display. 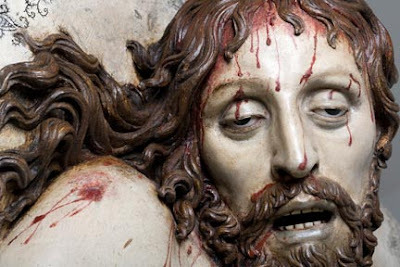 The image above is from Dead Christ by sculptor Gregorio Fernández and unknown polychromer, about 1625–30. Museo Nacional del Prado, Madrid. The exhibition guide and the audio guide goes to great lengths to explain the reasons behind the realistic depiction of suffering and death. The audio guide has comments from a Jesuit explaining the reasons for the hyper realistic depiction of the suffering. To one brought up in the Catholic tradition all this explanation seems a bit unnecessary until you realise that most of the audience will not have been used to stations of the cross hanging on their places of worship or indeed crucifixes with a realistically twisted body. Highlight of the exhibition was the work of the sculptor Pedro de Mena especially a sculpture of Mary Magdalen contemplating a crucifix which is also on loan from the Prado, Madrid. The name of the artist who painted this sculpture is unknown as is the case for most of the artefacts. Many of the sculptures are still objects of veneration in churches in Spain rather than gallery pieces. Lucky I went yesterday and not today! dawn is the one that works. Nice piece of poetry isn't it? That rally having a line to itself is a particularly effective touch don't you think? Humankind may be a bit awkward but what could be substituted for it? Humanity would be a bit glib. As many of you already know the above is not poetry but prose (mere prose some might say but me never). Prose by John Banville actually the opening two sentences of his most recent book The Infinities rearranged by me to look like poetry or to be poetry, I'm not sure which. I am in the middle of the novel at the moment and I'm enjoying it hugely. Banville is a master of language and sentence construction. My biggest problem in novel reading is speed reading. Long years of historical research meant reading quickly through pages of books, reports, manuscripts, letters for those small nuggets of relevant information. 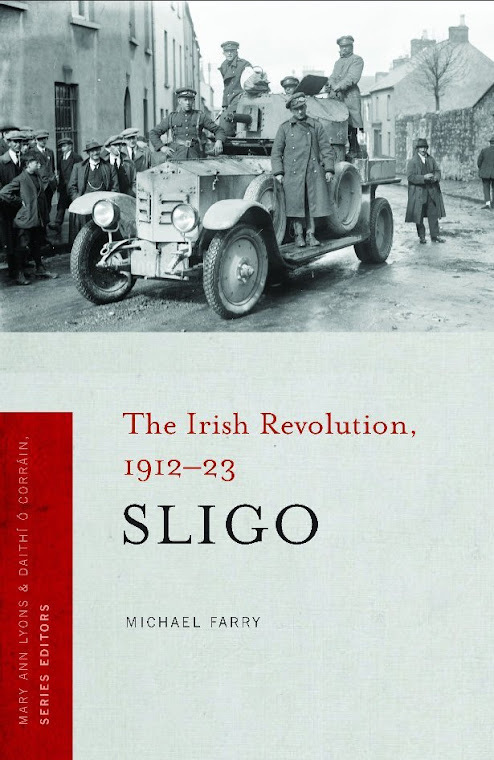 I swear I could spot the word Sligo on a page in less than half a second of scanning. Anyway that skill is useless when it comes to reading novels especially novels where the language is of equal or more importance as the story. So I'm deliberately slowing myself down, trying to take it all in. The same problem doesn't seem to arise when reading poetry, its construction seems to demand and ensure a slower pace and more attention to language. Reviews of The Infinities (Not all enthusiastic): London Times: Guardian: The Independent: The Observer. 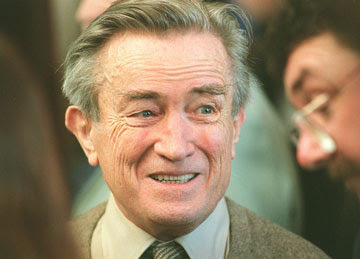 I was sorry to hear that former Government Minister Justin Keating died a couple of days ago. The first General Election I voted at was in 1969, Justin was a new candidate for the Labour Party in Dublin North where I was then working and I voted for him. "The Seventies Will Be Socialist" was the slogan then - innocent times indeed! He was elected. 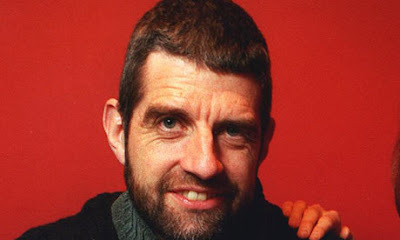 Keating was the son of well-know Irish artist Seán Keating. I have voted in every General Election since - much good it has done either me or the country but never did any canvassing of any sort for any party. However in the past month I swore that come the next General Election I would canvass. Who for? Well I'm not particular, any Trotskyite, Maoist, Marxist, Leninist, Marxist-Leninist, Hoxaist, Communist or Socialist will do. We have heard so much over the last decades from the spokesperson of business and commerce demanding they be given a free rein and that their system works best without inteference and regulation especially by Governments. Then comes the crisis and they crawl to Government asking for intervention. So the state and the tax payer bails them out. 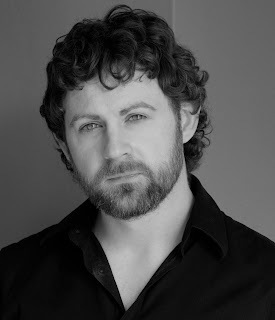 My Poetry highlights of 2009? Being shortlisted in the Bridport Poetry Prize, published in the Aesthetica Creative Works Annual 2010 and in the Stony Thursday Book, Limerick, and getting joint third in the Patrick Kavanagh Poetry Competition. 2009 Poetry Festival highlights? Poetry Now in Dun Laoghaire especially Paul Batchelor, (picture right) Colette Bryce and Tomas Venclova and the opening address by US poet Robert Pinsky. 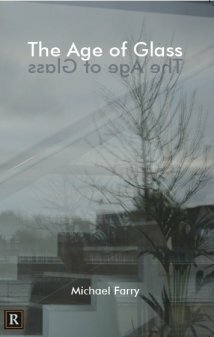 The Cuisle Poetry Festival in Limerick especially readings by Catherine Smith, Ulick O'Connor and Taja Kramberger. Attending the wonderfully friendly Patrick Kavanagh weekend of course and hearing Hugo Williams reading in Cavan in November. Labels: Bridport Poetry Prize; Aesthetica Creative Works Annual 2010; Stony Thursday Book, Limerick; Patrick Kavanagh Poetry Competition.